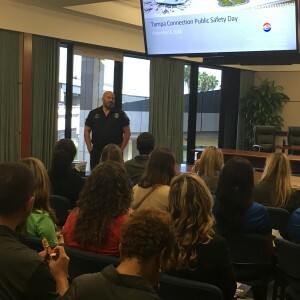 On November 6, 2018, our Tampa Connection class participated in Public Safety Day, which was an informative and exciting day. 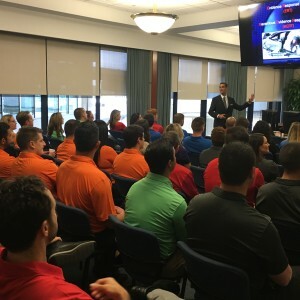 The goal for the day was to introduce class members to the inner workings of the public safety sector in the Tampa Bay area and learn about their missions of safety in our community. 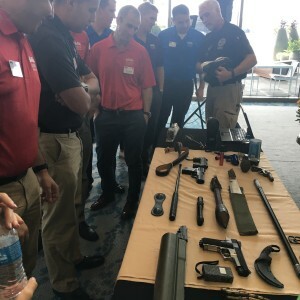 The program kicked off at Tampa International Airport with FBI Special Agent, Christopher Johnston. 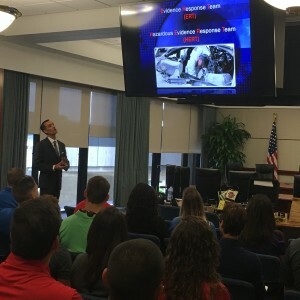 Special Agent Johnston shared his experiences of what it’s like to lead the FBI’s Evidence Response Team and the Hazardous Evidence Response Team (Hazmat). 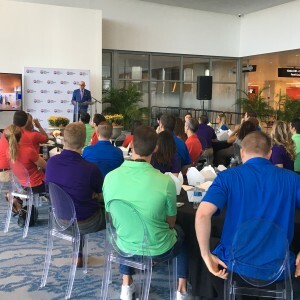 The class then headed over to Tampa International Airport’s brand-new event space for lunch. 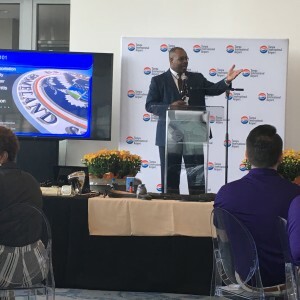 During lunch, Joe Lopano, CEO of the Airport, kicked things off with an informative presentation about the airport’s plan to expand and the challenges along the way. 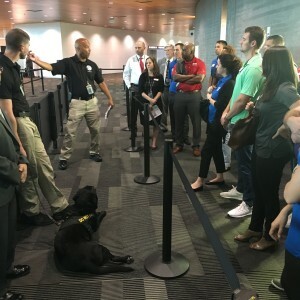 This was followed by behind-the-scenes tours of TIA’s baggage handling system and control room, along with some demonstrations from Transportation Security Administration (TSA) and their K9 unit, the Airport’s Fire/EMS team and the Airport’s police department. 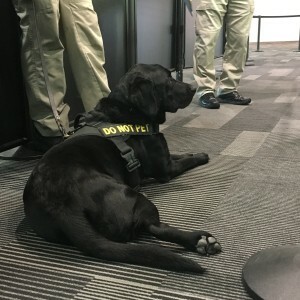 The tours and presentations wrapped up with a demonstration from the Airport’s K9 Unit (tracking the scent of explosive devises) and information regarding the K9 non-profit organization. 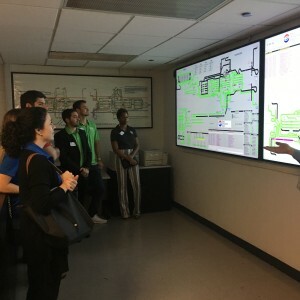 This day wrapped up with happy hour at P.F. 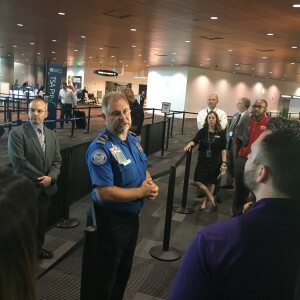 Changs on the Airport’s outside patio. 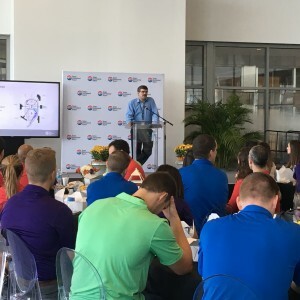 Class members reminisced about the many highlights of Public Safety Day while enjoying one of the airport’s newest restaurants.